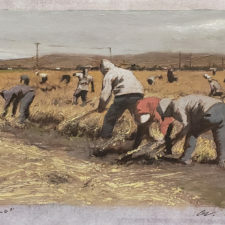 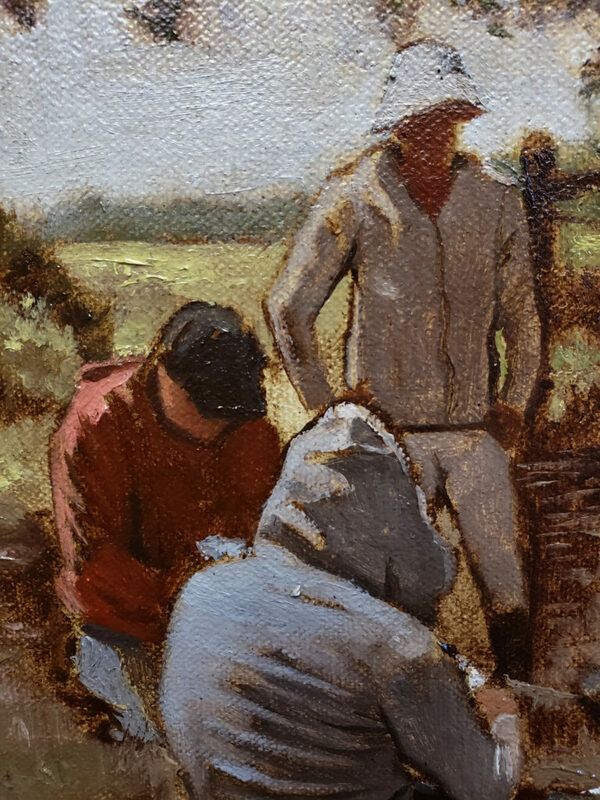 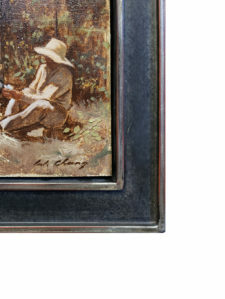 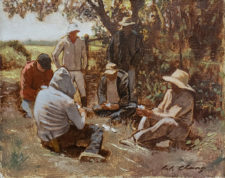 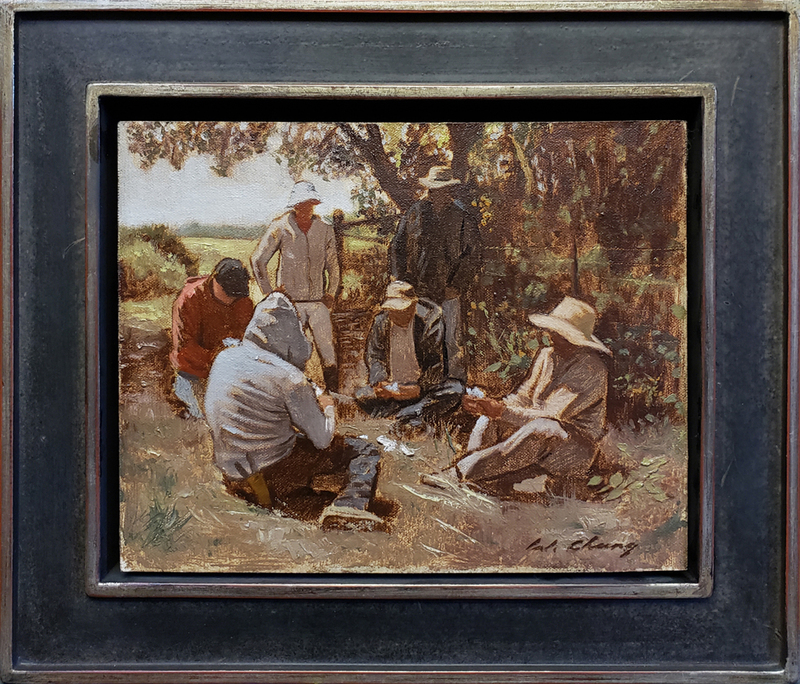 This plein air study captures a moment in the life of California’s migrant farm workers. 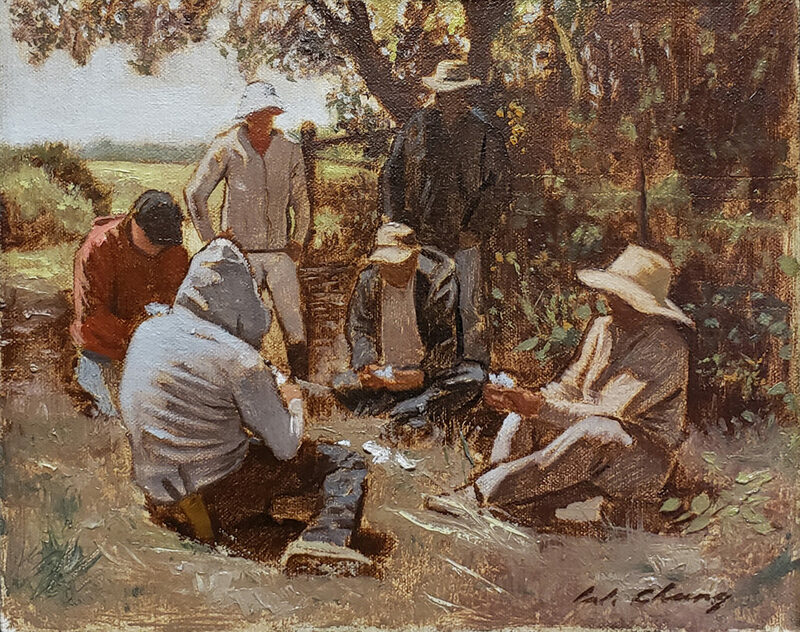 When taking breaks from harvesting crops, field laborers develop a sense of community by getting together to share meals, play cards, and simply talk. 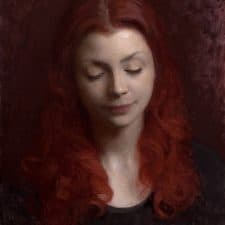 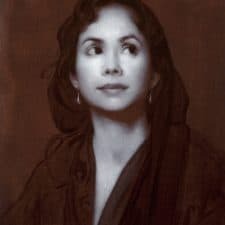 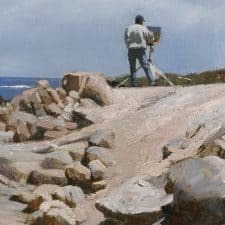 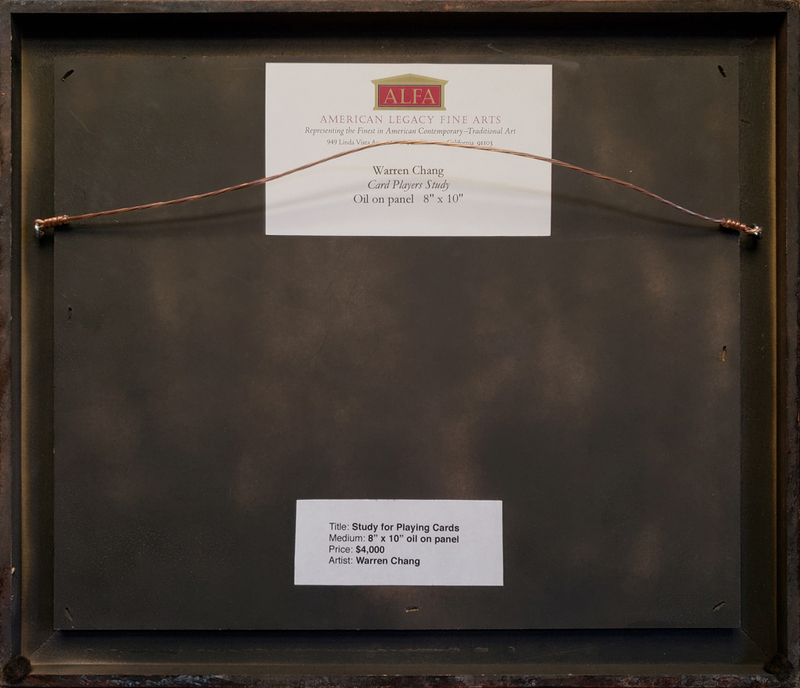 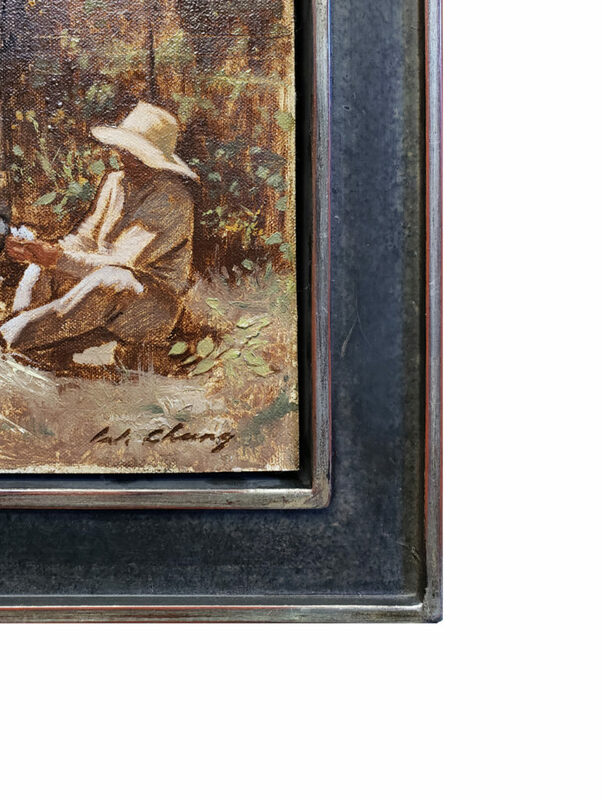 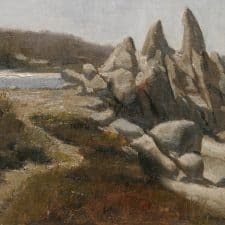 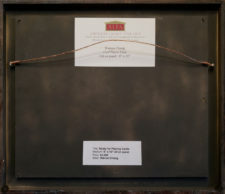 A Collector's Feast, American Legacy Fine Arts, November 16 – December 15, 2018 CAC 107th Annual Gold Medal Exhibition, Natural History Museum of Los Angeles County, June-July, 2018.